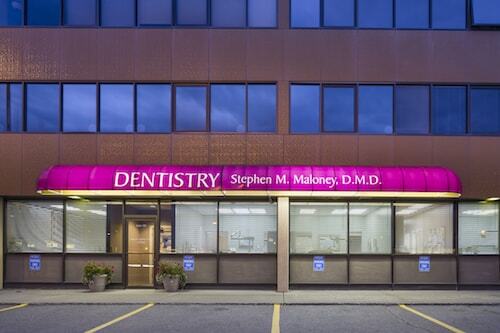 Learn why Fireweed Family Dentistry is one of the leading dentists in Anchorage. Carla was born and raised in Manila, Philippines. She began her education at the University of the Philippines College of Dentistry. In 1994, her entire family migrated to Toronto, Canada. Then she married her husband and moved to Anchorage in 1999. In 2006, her enthusiasm for the prevention and treatment of periodontal disease motivated her to pursue a career in Dental Hygiene. She attended the University of Alaska Anchorage and graduated with honors, and has worked for Dr. Maloney for 5+ years. 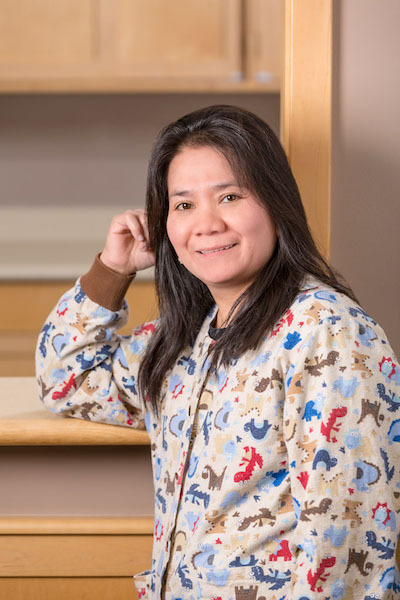 She enjoys giving one on one attention to her patients and spending time with her husband and two kids. 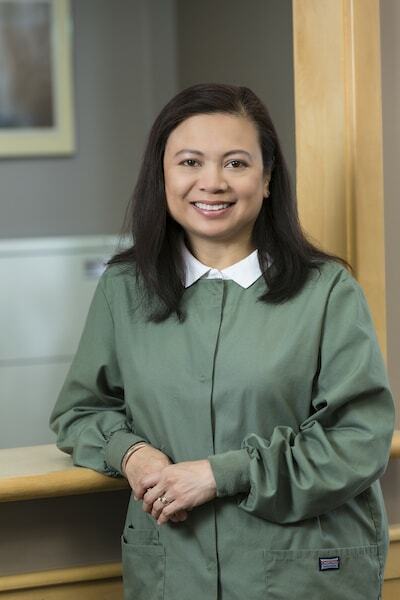 Born and raised in the Philippines, Ilynn originally went to school to become a dentist. She worked as a dental assistant for an oral surgeon and prosthodontist at Dhahran Armed Forces Hospital in Saudi Arabia from 1993- 1996. She then moved on to work at the University Staff Clinic in King Saud Riyadh from 1997-2000. She relocated back to the Philippines for seven years before migrating to Alaska in 2007. She has now worked for Dr. Maloney as a dental assistant since 2008. When she is not at work, she enjoys spending time with her two children. 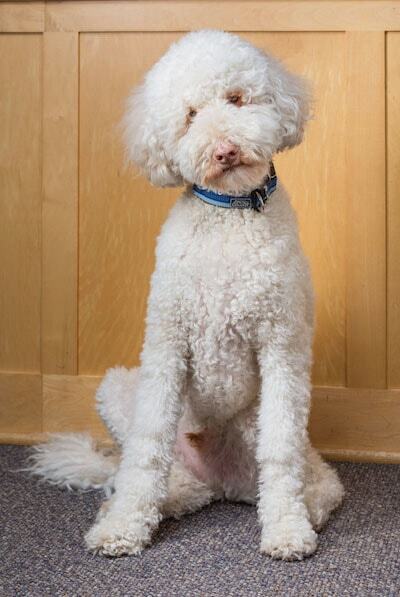 Murphy was born in Gig Harbor, Washington in December 2012 and came into the Fireweed Family Dentistry family in 2013. He is very well mannered and loves interacting with patients. Murphy is training to become a Certified Therapy Dog. He lives full time with Dr. Maloney and is a joyful addition to the team. Murphy is great at helping children feel calm and at ease. Receive comprehensive dental care in a calm, comfortable setting. We cater to all of your needs. At Fireweed Family Dentistry, we strive to rise above other dentists in Anchorage and give you the most comprehensive care possible. Your comfort is our first priority and we continue to pursue training and educational opportunities to bring you the latest and safest methods. We have equipped our office with modern technology such as intra-oral cameras so we can show you live images of your mouth and teeth. This helps us show you what we need to do and work together for the benefit of your family’s oral health. We are looking forward to seeing you at our office. Come meet our exceptional dental team and get started on the road to better oral health.